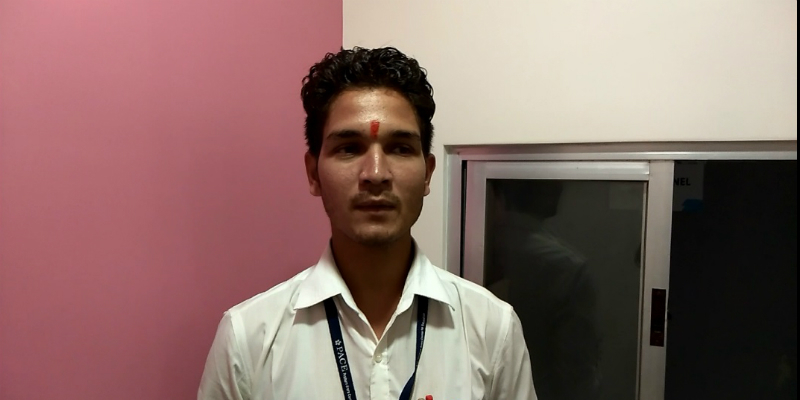 When Arvind Bhagat came to Livelihood College Jashpur to take admission in the course of False Ceiling Making he did not imagine that he would be working in the same institution later. He has come to the Livelihood College with a lot of hope. He wanted to make it big in life and do something different. When he first learnt about the Livelihood College he saw it as an opportunity to fulfil his dreams. The courses offered at the Livelihood College are so designed as to make the students eligible to get jobs in particular industries. Most of these courses are in collaboration with various organisations doing business in particular industries. The college is fully residential and it also offers free study materials to the students. The students are also offered placement assistance at the time of completion of their courses. Arvind went to the Livelihood College at Jashpur and he looked into various courses that were offered there. He liked the course on false ceilings which was a unique course. It was the only such course in entire Chhattisgarh and he saw major potential there. Therefore he took up the course and started learning the skills of the trade. “I learnt how to make false ceilings and different types of it. The skills taught to me had given me a lot of confidence that I would be able to manage any kind of work related to the industry.” He says. Arvind did very well in his course and it gave him an opportunity to join the Livelihood College as a trainer. The Livelihood College has a policy of recruiting students as far as possible and Arvind was found to be suitable for the job of a trainer there. “I teach the new students and I like it. I encourage them to expand their horizons. I encourage them to go out in the field and to work outside whenever they get a chance. The industry has a lot of scope and a hardworking person can definitely earn a lot in this industry if he has got the right skills.” He says.